Could the next generation MINI be built in Germany as well as the UK? BMW AG is considering building the next generation of its MINI brand in Germany as well as at its factory in Oxford, England, according to a newspaper report. “In the longer term, given the strong growth of the MINI brand, we will have to think about a further production site. We could imagine a German factory for the production of MINI-based models,” Frank-Peter Arndt, BMW’s Head of Car Production, told the Independent on Sunday. The newspaper reported that BMW is considering building new MINIs at its factory in Regensburg, where the automaker produces models such as the 1 series and 3 series. BMW is likely to add capacity in Germany rather than in Oxford because of currency exchange rates and other costs that will make it more competitive. The Oxford plant will be unable to meet demand when the new MINIs are launched, the newspaper said. MINI unveiled concepts for new Coupe and Roadster models at the Frankfurt Auto Show last month. The concepts are likely to join the hatchback, convertible and Clubman wagon versions already on sale and a crossover model in the final stages of development as part of a strategy aimed at further raising the appeal of the iconic small car. I think this is the case of a rubbish pro-Euro Currency Journalist at the Independent not being able to get his head around the true story. The key challenge BMW has at the moment is the relative cost of building in the Euro zone as the currency has strengthened by 30+% against the Dollar, Sterling, Russian Rouble plus the Asian currencies such as Thai Baht that tend to track the Dollar. BMW have spoken before about this and I think it is more likely we will see them build MINI CKD kits in the Asian Economic community, such as the Thai or Vietnamese plants where they face high import duties (75% in Thailand). These plants have already demonstrated their ability to build the 3 and 5 Series without quality issues, so meeting Plant Oxford’s build quality standards should not be an issue. I’m sorry to have to say this but this so-called MINI is nothing like the original. The original was designed to be cheap and affordable to the masses. BMW has done nothing more than butcher the idea of Mini and created an uninteresting, Fiesta-sized car with nothing but the BMW name behind it. Shoddy, uninspiring, no charm and far too expensive. Whilst it is easy to have a pop at the MINI, we should remember that the production of this little marvel keeps a significant number of people employed at three factories in England. We need to get behind our national treasure, otherwise we stand to lose more jobs. Personally, my interpretation is that BMW are exploring the potential for CKD kits, similar to Austin Rover with the Bulgarian Maestro. As the pound is dropping against the Euro, surely the logic is to move production from Euroland to the UK? A production line in the US might, though, make more sense? Crapmeister General :@Andy Doran Whilst it is easy to have a pop at the MINI, we should remember that the production of this little marvel keeps a significant number of people employed at three factories in England. Couldn’t agree more. What most people can’t stand about the new MINI is that it’s a rip-roaring success AND MAKES MONEY, unlike the original. Call the new big MINI a Maxi then. Feel better now? Call the new big MINI a Maxi then. Feel better now? Yes thank you. I agree that it’s good to support local jobs. I also agree that it’s been an amazing success (I know a lot of Estate Agents and local radio DJs!). However, I don’t like the current MINI because I think it’s cramped, oversized, has a comical interior (when compared to the original) and wasn’t even slightly in the spirit of the car it attempts to imitate. The complete denial of the original in any advertising doesn’t help either. I know it’s not a reflection on the car but it’s still annoying. MINI is a roaring success and it keeps so many people in a job. I’m not a fan of the car myself and prefer the original but, regardless of whether you like it or not, they are selling well even through the recession. Never mind the MINI being made in Germany, what about this MINI Concept? MINI meets Nissan Micra… I suggest BMW see the “Faking It” page for more ideas! 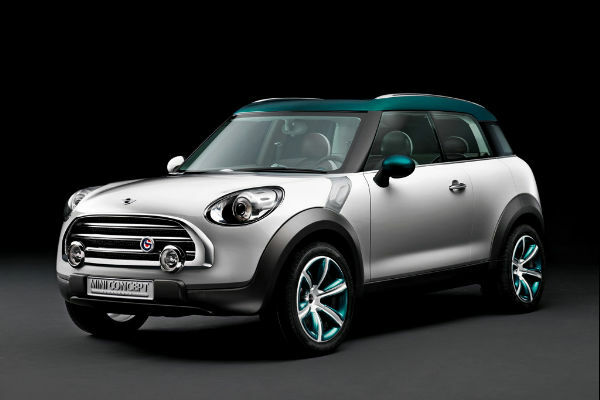 The MINI Concept above is truly ugly. Alex. What should a modern day MINI look like? A cheap small car like a Kia? The 0.5 series / X0.5 SUV’s tenuous British link will be severed once they decide to move their jobs back to the fatherland. A lot of trendy buyers only buy it because it is German. I spoke to one tedious “friend-of-a-friend” who would never entertain the thought of ever driving one of the proper Austin/Rover Mini masterpieces. It would be contemporary, small yet spacious, and fun to drive. Cars which, in my opinion, embody the proper Mini’s spirit include the original Ka (it even rusts like the original! 🙂 ), the new Suzuki Swift and the Toyota iQ. All the moaners who bring out the tired old argument that the the BMW MINI is not in the spirit of the original are guilty of ignoring the fact that the BMW MINI was never conceived as being in the spirit of the original concept but instead to be a 911-like evolution of the Mini Cooper. Now correct me if I am wrong, but was Paddy Hopkirk ever remotely interested in the rear leg room of his Mini Cooper? The original Mini might have some relevance in the UK but in the US and Asia (excluding a few Japanese petrolheads), which are key markets for the car, the original has no relevance whatsoever. The fact that it looks cute, comes from a trusted manufacturer and is reassuringly expensive are the drivers behind its success. Vauxhall is, at least, looking a bit safer for the time being. I’ve been a huge fan of the BMC Mini as the original was always aimed at providing a better alternative to the 50’s bubble cars and so the packaging was brilliant whereas the new MINI will always only ever be a fashion accessory. Is this such a bad thing when it provides so many jobs in and around Cowley at the moment? The only saving grace is that Chris Bangle didn’t get his hands on the styling although, looking at the picture above, perhaps he did! Incidentally, I have seen the new Aston Martin 4 door prototype running around the Midlands twice in the last week. One was a development hack but the other one looked pretty complete. It looks great in the metal – a sort of bigger DB9 but without looking like a Hen night stretched limo. Let’s hope that Aston Martin survive the recession. They could always build a factory in Longbridge! That would be true to the spirit of the original Mini – something that the MINI isn’t. I don’t like the MaxiMini either but, as has been said, we do actually still make cars in this country at the various BMW (formerly BL) plants (Cowley, Swindon, Hams Hall – have I missed any?). Well, it would appear that I have stirred up a little hornets’ nest with the comments about the BMW MINI. However, as Simon has said, it is nothing more than a fashion accessory, albeit an expensive one. Yes, we do still make cars in this country as everyone keeps on saying but it is for European car makers not the UK’s. The few small car makers in the UK are hardly what you would call volume car makers!! Crapmeister, I would willingly get behind our national treasures if we had any – this is a BMW being built in the UK for the time being. This is true, but hasn’t this always been the case with foreign ownership? Dagenham, Halewood, Luton and Ellesmere Port all churned out thousands of home grown vehicles by US-owned companies. Ryton, Stoke/Aldermoor and Linwood were US/French owned for the latter parts of their lives. We produce more cars in this country than at any time in history but, unfortunately, they are in foreign-owned plants (Honda, Toyota, Nissan, BMW MINI, Jaguar, Land Rover – even MG if you can justify that handful of token vehicles). I would love to see a major UK-owned volume producer but we have been governed by a hatred of manufacturing industry, the pursuit of short term return on capital and the misguided belief in service industries since the beginning of Thatcher’s reign in 1979. None of that significantly changed when the party in government changed. An infrastructure of car manufacturing does, at least, still exist in this country and the political parties are beginning to make the right noises in terms of manufacturing industry. Who knows what the future might bring? A lot of people on this site have since the new BMW MINI (version 1) was launched referred to it as “only” a fashion item but, if that’s correct, it is certainly proving to be a long-lived fashion accessory. Firstly, of course, that the original Mini was a fashion accessory. Yes, Issi never meant it to be but, as he did all too often, he missed his market. His target market looked at the Mini with all its complexity and reliability issues and went off to buy a Ford Anglia. Instead, it was the then generation of Yuppies who choose it -especially after Cooper had worked his magic on it – because it was clever and, anyway, the likes of Sellers, Snowdon and Twiggy had one. Secondly, any product which has a quality of aspiration about it is, by definition, a fashion accessory – you don’t strictly need it but you do feel the better for having it. Hence, in terms of cars, you don’t really need anything better than some dreary white good product from Korea. All those who so dearly want the BMW MINI to fail are, therefore, just as likely to be satisfied as those who have spent the last 30 years saying that one day the world will wake up and not want a BMW 3 Series anymore. I agree – it’s nothing like the old Mini. Quiet, comfortable, reliable and makes massive profits for its maker. They don’t make them like they used to (Thank God!). Firstly, we do have a thriving car industry in the UK. The Japanese-owned plants, MINI at Oxford and Vauxhall at Ellesmere Port are amongst the most efficient in the business. They generate massive tax revenues for the Exchequer regardless of who they are owned by and provide stable, highly skilled employment. Secondly, the reason we don’t have an indigenous car industry is down to hopeless management, poor quality products and a militant workforce. The Government threw billions at Leyland/Austin Rover etc. and, at every throw of the dice, it was p****d against the wall on useless shoddy products that no one wanted to buy. We happen to make some of the best motorcycles in the world today. Triumph are growing their market share while most others (Honda, Suzuki, Yamaha and the once mighty HD) are closing/laying off workers so, if you want to support a British industry, here’s your chance. Sorry the “quote” button didn’t work. My previous comment was a response to an earlier one about not having any industry to support. That largely echoes what I said further up the board – we make more cars in this country than at any time in history. The Italians had all the same industrial problems in the 60s and 70s that we had, but their Government recognised the necessity for an indigenous manufacturing industry. It still remains in that country. The Germans have been hit less in this recession because they recognised the importance of manufacturing and weren’t so reliant on the banking sector. I would also take issue at the idea that billions were thrown at Leyland/BL/Rover and it was p*ssed up the wall. BL and its successors died the death of a thousand cuts. From being a massive corporation capable of global competion in 1975 (in size terms), the profitable parts were quietly hived off (Alvis, Coventry Climax, Jaguar, Prestcold, Leyland Truck, Leyland Bus, Freight Rover, the computing arm whose name escapes me, Unipart, SCG… the list is endless). Eventually, what was left was the volume car business – the part that was difficult to sustain without the economies of scale of the rest of the business. 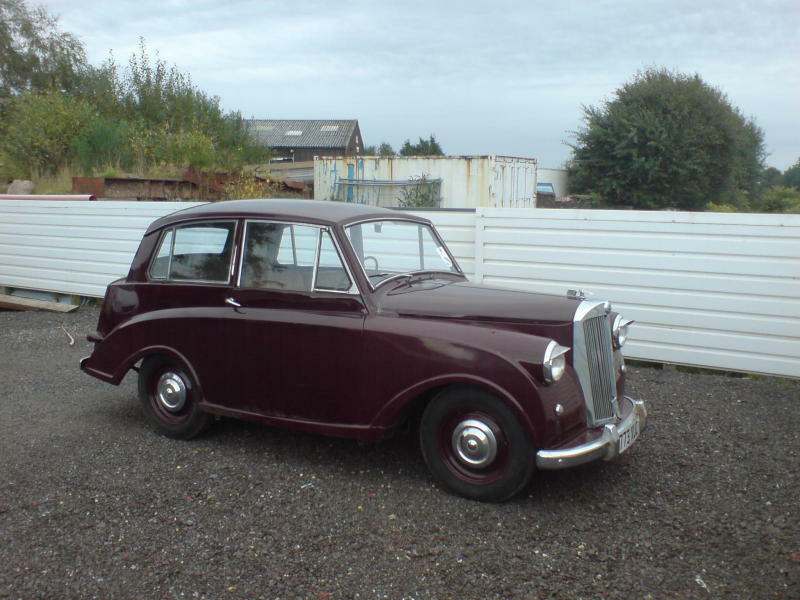 When this finally became MG Rover, it was even shorn of the parts that would have propped it up – Land Rover and MINI. MG Rover was always doomed to failure from the very start. When MGR began a process of asset stripping that was an ironic microcosm of the original parent company, ie selling off Longbridge, the parts business (again! ), the finance arm and – with a jaw dropping level of incredulity – the intellectual property for the vehicles and engines that were the company’s main product lines, it was fairly obvious the the wheel had come full circle. Yes, then, labour relations, poor (or, in the case of BMC, NO) product planning and shoddily made products (again, to my mind, this was the fault of management) did contribute to BL’s downfall. Many of these factors had their roots in financial short-termism. BMC, in other words, spent little money on future product in the 60s because shareholders preferred short-term profit over long-term security. The Tory Government spent most of the 80s bemoaning the folly of state-owned industry and the millions they were having to pump into BL, whilst singularly failing to point out that BL was state-owned because private management had run it into the ground (with the aid of the unions, I will accept) and that the Exchequer was benefitting from the profitable parts of BL that were quietly lining their pockets. An excellent point. I owned a Triumph triple until recently – it was a very well engineered, well designed and well built bike. Unfortunately, these days we only compete in the big bike market and not in the volume sector. The equivalent of this in context is that we still make Jags, but do not compete in the Austin Morris-type volume end of the business. Until relatively recently, Britain was the biggest manufacturer of motorcycles in the world. BSA were, as late as the 60s, the biggest motorcycle company in the world. A massive engineering group encompassing BSA, Triumph, Ariel and Sunbeam in the motorcycle sector, Daimler (car and bus), BSA, Carbodies and others in the auto sector, in addition to cycles, machine tools, guns etc., etc. They were killed, not necessarily by their product portfolio, but by risky management that diversified their company portfolio and caused the bank (Barclays if I recall correctly) to call in their loans. Similarly, Leyland Trucks were the world’s biggest truck manufacturer well into the 50s, perhaps beyond. They were ultimately felled due to their desire to get involved with the volume car business via, initially, Standard Triumph and, latterly, through a merger with BMC, whose future product cupboard was almost entirely empty. Poor management, poor product planning – for example, fixed head engines – and an over reliance on the former colonial markets (at the expense of the expanding European market) – ultimately brought Leyland down, not being state-owned per se. I understand from a friend, who worked for Rover Group before Land Rover was sold off, that the much acclaimed and very successful BMW MINI that was already designed and that, when shares in Rover Group were sold to BMW, the latter company obviously ran with the project. Am I the only one who appreciates the later Rover offerings, the collaboration with Honda, the improved reliability and build quality etc? As an employee in the manufacturing industry, I am disappointed with the continued lack of any desire from successive Governments to foster a manufacturing industry in this country. Do you think any future ones might? I’m not holding my breath! Mark :I understand from a friend, who worked for Rover Group before Land Rover was sold off, that the much acclaimed and very successful BMW MINI that was already designed and that, when shares in Rover Group were sold to BMW, the latter company obviously ran with the project. There was a desire within Rover Group Limited to replace the Mini before the sale to BMW and some concept work was done but the result very much more Smart than BMW MINI. The concept of a 911-type evolution of the Mini Cooper very much came from the BMW side with Bangle’s team doing the initial styling. The Rover side pushed hard for a Micro City car and came up with the Spiritual concept. Looking at the profitability of the Audi A2, Mercedes-Benz A-Class and Smart, you have to say the BMW boys made the right call. However, the Rover work was more keeping with what Issy wanted but then he thought the Austin Maxi would be a commercial success.